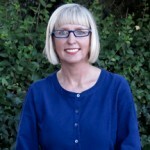 Once you have decided to undertake one to one, Counselling, Psychotherapy or Mindfulness sessions with me, I will ask you to agree my counselling terms and conditions. This includes my cancellation policy, holiday dates, fees and other important information. Once you have decided to undertake one to one, Counselling, Psychotherapy or Mindfulness sessions with me, please complete this form providing details such as your name, date of birth, address, GP etc. 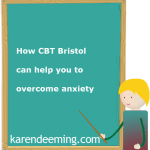 Once you have decided to undertake one to one, Counselling, Psychotherapy or Mindfulness sessions with me, I will sometimes, though not always, invite you to complete an assessment form. This asks questions about your family history, early childhood experiences and memories and what it was like for you at school, college and university. Once you have decided to undertake one to one, Counselling, Psychotherapy or Mindfulness sessions with me, I will sometimes, though not always, invite you to complete a childhood questionnaire. This asks you describe reactions from parents when you expressed anger or sadness and asks questions about other earlier experiences. An anger management fact sheet providing an helpful understanding of anger and some basic “how to overcome anger” coping strategies. An essential Mindfulness tool/fact sheet providing an accessible understanding of mindfulness and some tips on how to develop your mindfulness practice in order to overcome anger, anxiety, panic attacks, insomnia and physical pain. A series of positive statements to help you culminate attitudes of accepting “floating” and allowing time to pass during a panic attack. You may find it helpful to repeat a single statement over and over when you feel panic symptoms coming on. 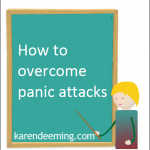 You can increase your mastery over panic attacks by investigating the type of circumstances that tend to precede them. You can use the panic attack record and diary to monitor every panic attack you experience over a two-week period. Make copies of the form and fill one out for each panic attack. Answer all the questions for the entire day from the moment you woke up until the time you panicked. By making the effort to record panic attacks you are taking an important step towards reducing the odds of having panic attacks.